Hey everybody! 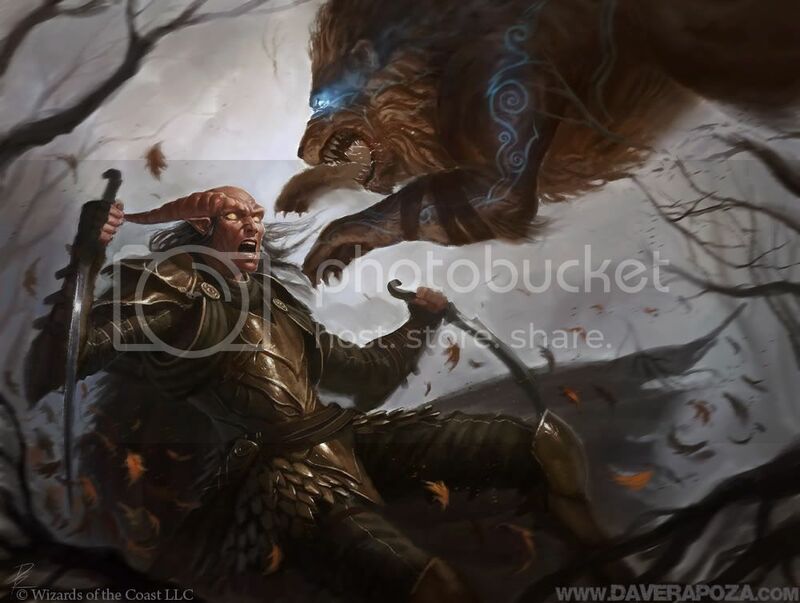 Just saw that Wizards of the Coast released a couple more of my illustrations. These two mark a change in my whole approach... Not that you can tell right off but now my work has started to really change(wont be able to release for a bit though). Been having a really awesome time working for WoTC and hope they keep me around for awhile :D.
Hope my fellow Crimson Daggers are workin harder than ever! Always exciting to see all the awesome updates from everyone! Yea totally, thanks for stoppin by man! Hope the calendar is coming along well. I didn't have any decent personal work to submit :(. Nice work...glad to see you doing well with WoTC. Now I'm really curious about your new approach, especially since it looks like it involves a more direct color technique. Painting directly with color's always been a more instinctive way for me, since I come off a heavy background in oil painting...but for some reason it's not translating so easily to the digital approach. Of course, it's the whole 'maintaining tonal values' thing I seem to be having the most problem with. Would love to see how you tackled this matter. Devin! You have another fan added to your roster! Love your work.